Delta Airlines has agreed to an order of 50 wide body Airbus jets with a market value of $US14.3 billion, according to multiple reports. 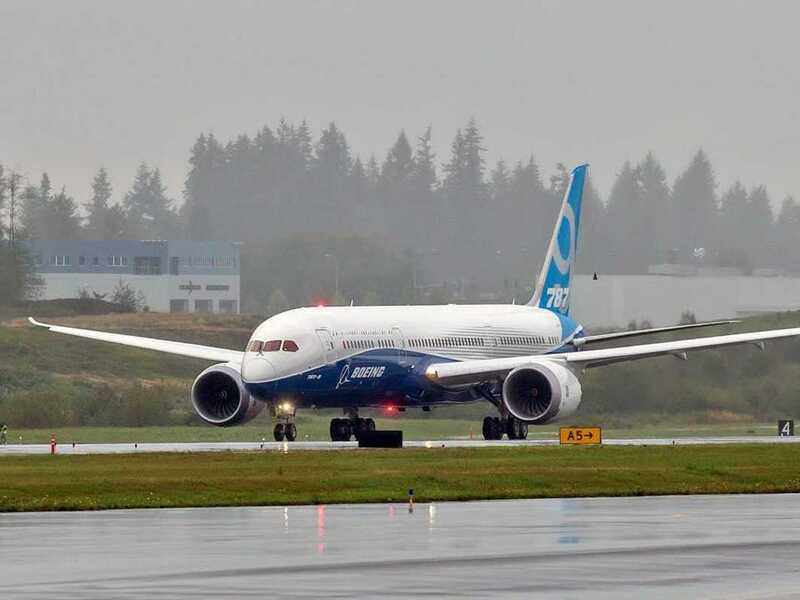 In the hotly contested sales battle between the world preeminent aeroplane makers — Boeing and Airbus — Delta’s monster order is a huge victory for the Europeans. According to the Wall Street Journal, Delta’s order includes 25 next-generation A350-900XWB and 25 upgraded A330-900neo widebody airliners to replace the airline’s current fleet of Boeing 747-400 and 767-300ER jets. In fact, this weeks order marks the second major Airbus order placed by Delta in the span of 14 months. Last September, the Atlanta-based carrier ordered 40 Airbus jets, including 10 international widebody A330-300 and 30 large domestic narrow body A321 jets. For a long-time operator of American-built Boeing, McDonnell Douglas, and Lockheed aircraft, Delta seems to have hitched the future of its long-haul fleet to the European Airbus bandwagon — which is a major blow for Boeing. In recent years, Delta has built a solid reputation for being the consummate value shopper in the airline industry — opting to buy affordable secondhand aircraft instead of investing billions in new ones. Think of it this way: Delta has been the guy trying to buy used iPhone 4Ss on ebay for $US80.00 when others are forking over hundreds on the iPhone 6. But this week’s order is like that same person pre-ordering the latest smartphone weeks before its debut. So does this massive $US14 billion dollar order mean Delta has abandoned its long-held frugality? Among America’s three remaining legacy carriers — American, Delta, and United — Delta has, by far, the oldest fleet, according to Airfleets.net. While United and American’s aircraft are on average between 12-13 years old, Delta’s fleet is just under 17 years old. This is especially the case for Delta’s large widebody planes that fly passengers across the ocean. Today, the airline’s long haul duties are primarily the responsibility of its fleet of Boeing 747, 767, 777, and Airbus A330 wide bodies with narrow-body Boeing 757s pressed into service for long-range trips, as well. Of the planes in Delta’s long-haul fleet, this week’s order will replace its collection of “college age” Boeing 747-400 and 767-300ERs. Delta’s 13 747 jumbo jets were inherited from Northwest Airlines after the companies merged in 2008. They’re 22 years old, on average. 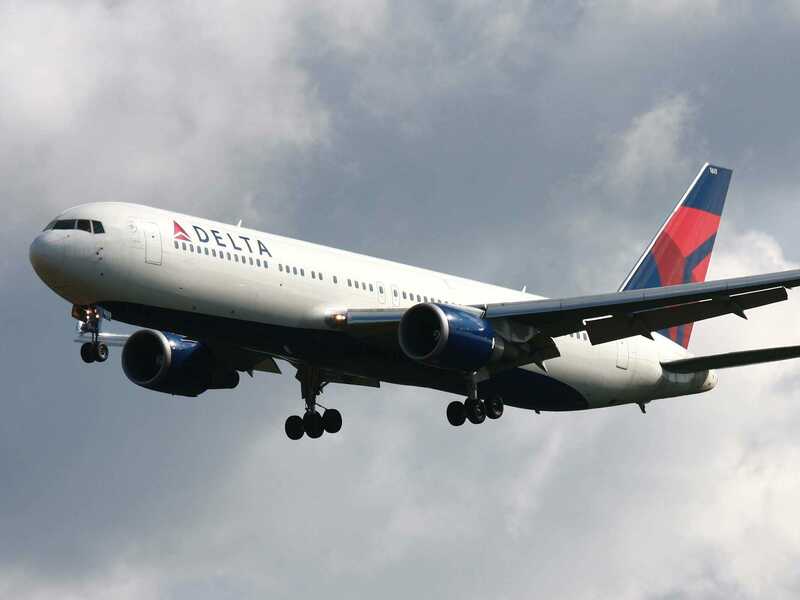 Delta’s fleet of twin-engine 767-300ERs are an average of 18.5 years old. For the airline, a fleet of ageing planes require more thorough maintenance and hundreds of millions of dollars of extra fuel annual. While for the passengers, they tend to translate into fewer modern amenities and a louder, less serene ride. Fortunately for Delta, its nearly 800 aircraft fleet provide a certain level of flexibility when a plane does break down. 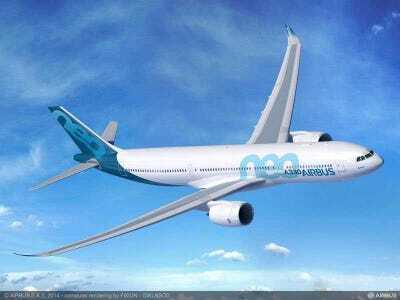 In addition, the airline has the best maintenance operation in the business, AirwaysNews senior business analyst Vinay Bhaskara told Business Insider. During the 2000s, when Delta needed to upgrade its domestic fleet of older Boeing 727 and DC-9 aircraft, the airline bought used instead of new. As other airlines at the time spent billions to order hundreds of brand new fuel efficient Boeing 737s and Airbus A320 series aircraft to serve as the backbone of their domestic fleets, the used aeroplane market became flooded with older, but still very capable, MD80/90 series airliners. Delta snapped them up at a very low price. So why can’t Delta follow the same strategy to replenish its widebody fleet? After all, in the months leading up to Delta’s latest announcement, there were rumours circulating about the airline acquiring a number of secondhand Boeing 777-200s that were being retired by middle-east and Asian carriers — for a very affordable price. The answer to this question is fuel economy, says Bhaskara. The MD80/90s are cheap to acquire but their older generation engines and aerodynamics make them gas guzzlers. Since fuel is any airline’s number one expense, fuel economy matters. Delta is able to get away with flying gas guzzling MD jets because they operate on shorter routes. However, on long distance routes, fuel economy become more challenging for older planes cautions Bhaskara. 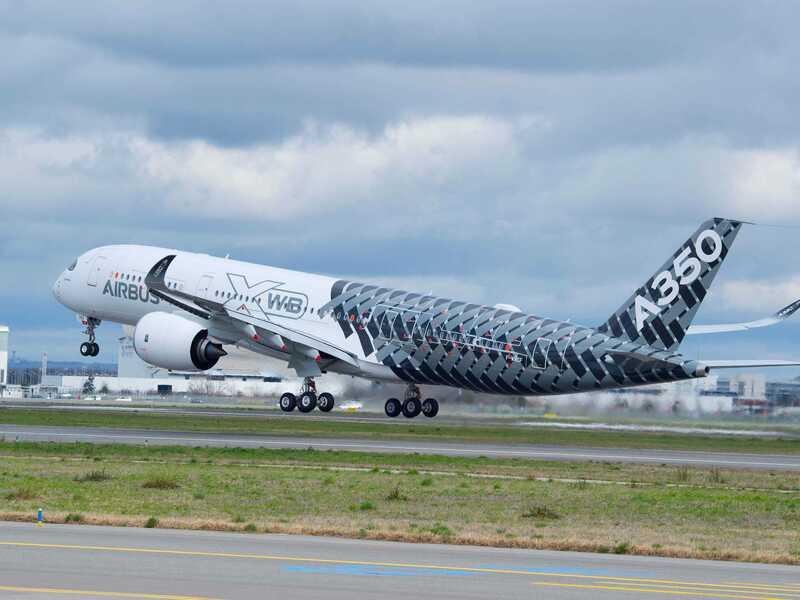 Even at bargain basement prices, the next generation avionics, engines, and aerodynamics of the A350, Boeing Dreamliner, and even the A330neo make them a better long-term prospect than a used 777. With a reported catalogue price of $US14.3 billion, this is the priciest aeroplane order in Delta’s recent history. However, it is highly unlikely the airline paid anywhere near that much. Delta, like most major airlines, probably recieved discounts ranging from 30-50% off the sticker price, Bhaskara said. Other analysts agree. The Seattle Times reported that aviation valuation firm Avitas put the actual sale price of the 50 Airbus jets at $US6.2 billion. Jeremy Dwyer-Lindgren/Airchive.comAn Boeing 787 Dreamliner. When Delta announced that it would buy a new fleet of long-range widebody jets, it also said the airline would need to take delivery in 2017 or 2018. 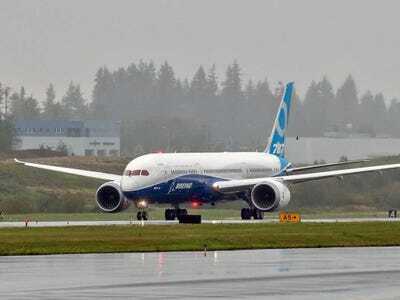 Boeing’s 787 Dreamliner has been selling like hotcakes. It’s production slots for the next few years are completely filled. Which means Delta could not have recieved delivery of a fleet of Dreamliners in the time frame the airline requires.